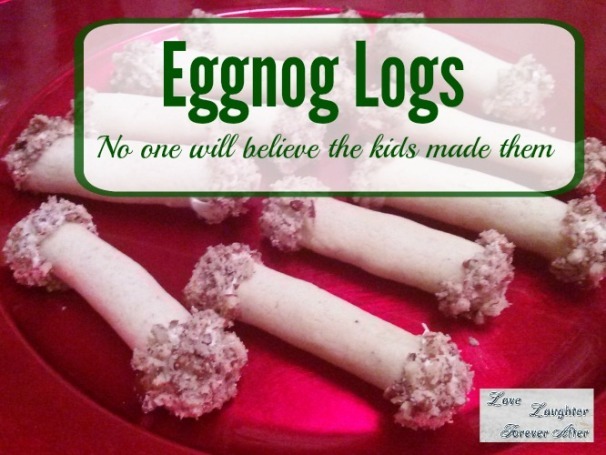 Eggnog Logs are very pretty and very delicious but also very simple and easy to make. This is definitely an eggnog cookies recipe that the kids with love to help you bake. 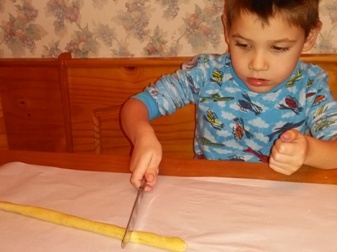 My kids love to roll the dough into ropes and they love cutting the dough rope into logs. Seems like young ones always want to chop and cut in the kitchen but that isn’t always an easy thing to accommodate for the tiny tots. You can fulfill their desire and keep them safe too by letting them cut the dough rope into logs with a butter knife or plastic knife. It is just like playing with play dough but they get to eat yummy cookies when they are done. Helping make cookies is also great for fine motor development and you can sneak in a little math and science without any one even noticing. After the cookies are cooled the kids can dip them in the frosting and nuts. If you are a nut free family, skip the nuts obviously but you can serve the cookies with frosting. I just wouldn’t dip them in advance. You could dip them in melted white chocolate for a different twist on this recipe. Cream together butter and sugar with an electric mixer. Add egg and flavorings, mix well. 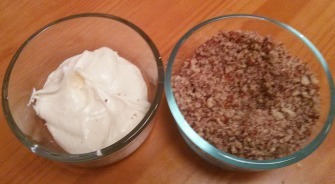 Combine flour and nutmeg, gradually add to creamed mixture, mixing well. 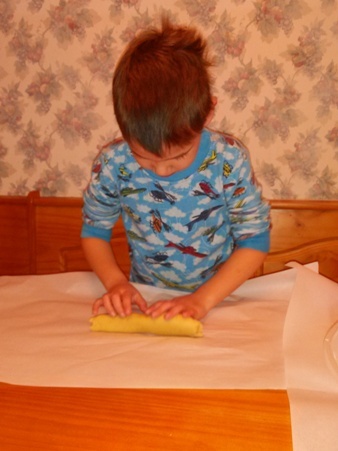 Divide dough into 10 portions. Roll each portion into a 15 inch long rope and cut each rope into 5 logs. Place cookies on an ungreased cookie sheet. Bake at 350° F for 10-12 minutes. Cool on wire racks. Dip log ends into vanilla frosting and then into pecans. Yield: 50 Eggnog logs cookies.